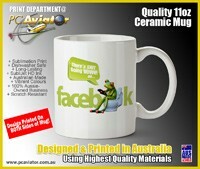 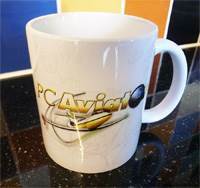 All our gifts, custom-made products and apparel listed below are produced in-house in Australia at the PC Aviator Brisbane office, using only the highest quality materials, inks and heat presses. 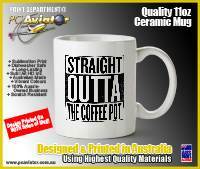 Unlike many budget manufacturers or producers of similar giftware and apparel, we don't just say we use the "highest quality" materials... we actually do! 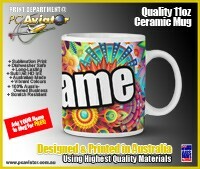 All our sublimated products below are produced using the latest generation Sawgrass sublimation inks, Sawgrass printers, and pressed using George Knight heat presses, and all produced right here in Australia in our own office to ensure quality from concept to completion. 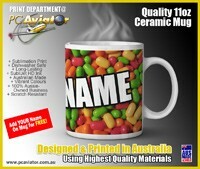 Our heat press Vinyl products use high-quality GJS/Chemica vinyl, all precision cut using Roland plotter/cutters. Our vinyl decals are produced using Metamark 7 Series Premium vinyl stock.